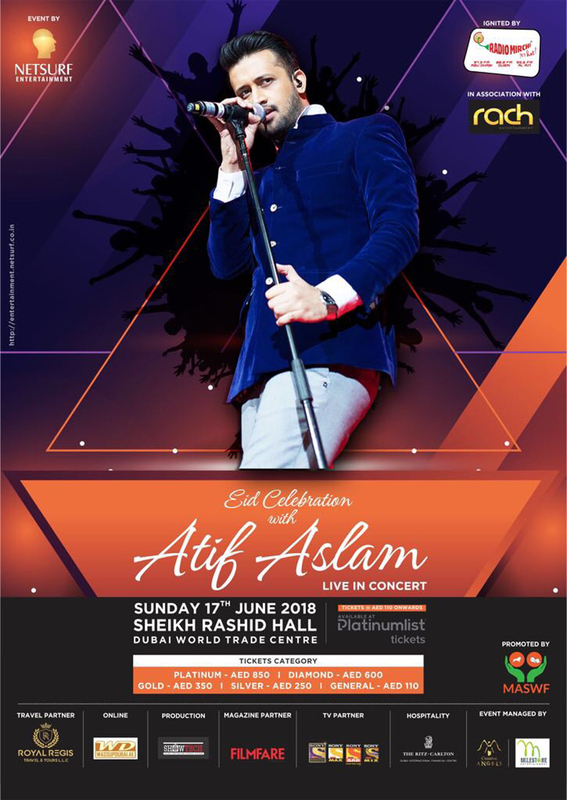 Celebrate this Eid musically with Atif Aslam Live in concert at the Sheikh Rashid Hall, Dubai World Trade Centre on Sunday, 17th June 2018. Tickets available at PlatinumList.Net (Direct Link: tiny.cc/atifeidcelebration ). Event promoted by MASWF, Event Conceptualised & Executed by Netsurf Entertainment, Event Managed by Creative Angels Advertising and Events & Milestone Entertainment.